This Escape toy hauler travel trailer by KZ is perfect for any family that loves the outdoors! The 78" ramp door provides easy loading and unloading of your off-road toys. 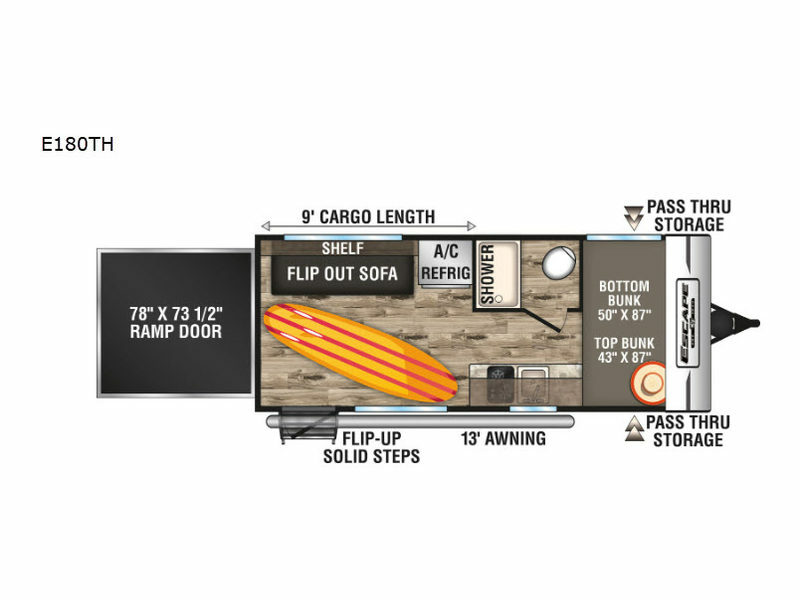 Your fishing gear or lawn chairs can be easily accessed from the exterior pass-through storage compartment, and after your day of adventure, you can choose to relax on the bunk beds or flip-out sofa.